I love this book, and I return to it again and again, ever since I studied in my penultimate year at school. In my mind it is so important that we keep the memory of the horrors of the 20th Century alive. I won’t say lest we repeat them, because as a history student, I believe that we don’t “learn” from history (the many cycles of history show us that, but I’m not going to go into that here). Instead, I believe it’s important to remember them, so the men who died in the choking, stinking mud of a French field, truly did not die in vain. Possibly this is too arrogant a task seeing as we do not remember their faces, or sometimes even their names, but we should at least remember the events in which they partook. We owe them that at least. I read this book on my kindle this time around and I found myself highlighting so many things that I found interesting, here are some which I thought worth mentioning. The part where Stephen Wraysford, the protagonist, is Amiens cathedral at the beginning and he gets this overwhelming sense of foreboding from being there, it’s scary but I love the lines “it was a memento mori on an institutional scale” and “So many dead, he thought, only waiting for another eyelid’s flicker before this generation joins them”. I’ll admit, it might be a slightly morbid statement, but I think it’s astonishing the power behind those words when you realise that they’re completely true. The First World War was the first war fought on an “institutional scale” with men used like cogs and wheels in a factory. My favourite line from the book, and unfortunately another morbid one, is “This is not a war, this is an exploration of how far men can be degraded”. I think that line truly brings home some of the horrors of the First World War. I truly believe that books like this are important in keeping alive the memories of those thousands of men for generations to come. Next year is the 100th anniversary of the beginning of the First World War, and whilst I don’t really believe it, partly due to cynicism and partly because of my history, maybe just maybe we could vow never to do such a thing again. 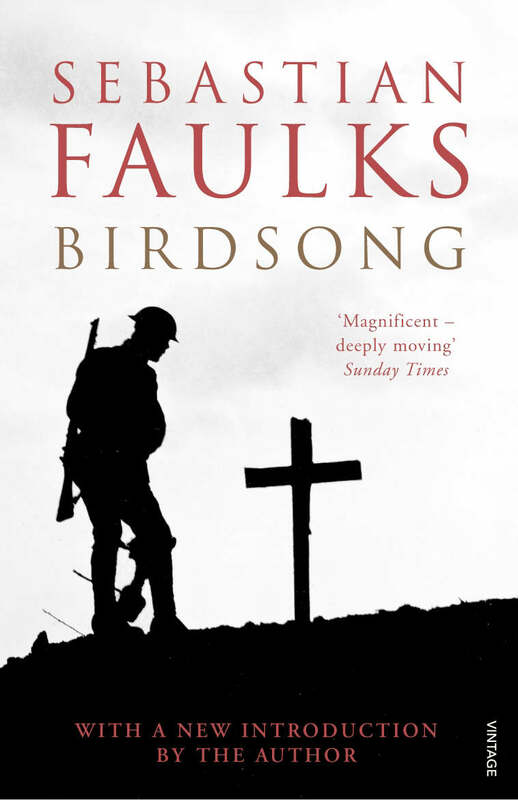 This entry was posted in BOOKS | TO | READ and tagged Birdsong, Book Review, Faulks, History, Love, Sebastian Faulks, Story, War, WW1. Bookmark the permalink. The short chapter where Elizabeth goes to the memorial at Thiepval always spooks me. Me too! The part where the gardener(? ), when asked, says that the memorial is just for those few fields. It’s strange how events of nearly a hundred years ago can still make you (well certainly me!) indignant and outraged.